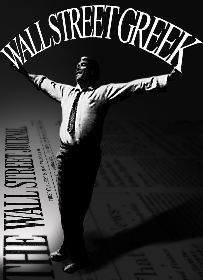 Visit the front pages of Wall Street Greek and Market Moving News to see our current coverage of economic reports and financial markets. Like the day you lost your job, this past week was, for investors, forgettable. The Dow Jones Industrials Index set a six-year low last week, and dropped 6.2% through the holiday-shortened spat. So, I say we just pretend it never happened. Let's just leave it all behind us shall we? It's time to move on anyway. Try as we may though, we just can't get that nasty memory out of our minds. It strikes us tragic how it all went down. It was supposed to be a good week after all. President Obama signed his stimulus bill into law, and promised America he would put our tax money to good use saving jobs. So what happened then? Well, perhaps our "Week Ahead" article from last week presciently summed up the reason in two words. We entitled that piece, "Now What?" The fact is that the government has given this recession its best shot, and the recession has stood its ground and taken the blows. Investors have only to wait now for some sign of result, some semblance of economic turn. However, the market is impatient, and she speculates, anticipates and predicts economic scenarios. These days, she's like the selfish wife who forgets everything you've done for her and leaves you the minute the waters get rough. What will you do now, chase her into bankruptcy or find yourself a new blue chip lady? This week's market action tells you what is natural to human nature and what is ideological. The horizon is dark and gray and full of ominous whirlwinds left and right, to and fro. Panic and trepidation grabbed a hold of the hearts of financial sector investors this past week. Fear of new bank failures and government interventions took the shares of Citigroup (NYSE: C) and Bank of America (NYSE: BAC) spiraling toward zero. Only a late Friday White House statement could settle traders, and not completely so, as Citi still closed down 22%. Overseas, the dark clouds are circling around Switzerland and Eastern and Central Europe. When UBS (NYSE: UBS) announced a settlement with U.S. tax authorities, a Pandora's box was effectively opened. The secrets of Swiss banking can now be shared because of phonies like Bernard Madoff changing the game. European Union officials warned reactive leaders of young and volatile European markets to quiet their boastful chatter of currency defense. However, when fiction mirrors reality we traverse dangerous territory. The World Bank and IMF would like to raise funding for the pending minor catastrophes that seem in store, but the EU is only willing to oblige for the sake of its member states. This is a message Germany's Finance Ministry confirmed on Friday, and European shares set global markets aflame thereafter. The coming week only offers more opportunity for dismay, as words alone may not be enough to keep a bank or two from busting. Bad news Obama ought to try taking Bill Clinton's advice and George Bush's example, and just talk up the market and pretend everything is okay. So I say we take a stab at pretending it all never happened. We will go to bed, shut our tired eyes and dream of butterflies and lilies. Then we will awaken to the cold sweat-soaked reality that our nightmares now live and walk boldly and defiantly in the broad daylight. 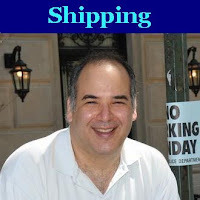 Please see our disclosures at the Wall Street Greek website and author bio pages found there. (Article interests: AMEX: DIA, AMEX: SPY, Nasdaq: QQQQ, NYSE: NYX, AMEX: DOG, AMEX: SDS, AMEX: QLD, AMEX: XLF, AMEX: IWM, AMEX: TWM, AMEX: IWD, AMEX: SDK). Perhaps some actions other than by the government bail out teams might be appropriate, like changing the short rules-can short only on uptick, etc, and removing naked shorting. The SEC can do some things to help quell the nervousness as well, in my opinion. Otherwise, cash is king, and the banks are hoarding the money.